We are very lucky to have the South Downs National Park on our doorstep. It's a great place to cycle with fantastic views and the scenery seems to change mile-by-mile and week-by-week. But there's no getting away from it, cycling in the SDNP means tackling hills. Of course, you need a certain level of strength and fitness to do hills. But you don't need to be super-human. Anyone with average strength and fitness can manage most of the hills we do. Other issues such as technique and a positive attitude are usually more important. Having said that, cycling up a hill requires a particular set of muscles to work together. Collectively we call them 'hill legs'. When you start doing hills you're bound to get some stiffness as your legs adjust to the new demands you're putting on them. The only way to get 'hill legs', however, is to do hills. As you do hills, your strength and fitness will improve. It's not always possible to tell that's happening. Your first indication might come when you realise you're taking less time to recover for the next hill. You might have experienced the foreshortening effect already. As you approach a hill it looks impossibly steep. When you get there, it seems to magically level out into an easy climb. Where did it go? It's an optical illusion, you really can't believe your eyes. The effect is magnified if you're going downhill into a valley looking at the hill the other side. In this situation, hills can appear almost vertical. Obviously, you can't ignore the fact that there's a hill coming, but don't let it defeat you before you even get there. Don't trust your eyes. False summits can really get you down. You think you're approaching the top, the road is levelling out, but then you realise you've been unable to see there's another section of hill to come. If you're on a hill you don't know, try asking others cycling with you if there are false summits - it's much better to find out before you get to them. Because of the foreshortening effect and false summits, some people find it unhelpful to look up the hill while they are on it. You need to be aware of what's in front of you, but try looking at the road four or five metres in front and resist looking up until you know you're at the top. You might also encounter a 'false flat': a stretch of road that looks flat, but isn't. The only solution is to be aware of the possibility and be prepared to drop to lower gears if you encounter it. Some people can manage to get up hills on a single gear, but that's not normal! You probably have a range of gears attached to your back wheel, known as a "cassette" or "the sprockets". As you change gear from a smaller sprocket to a larger one, you'll notice that it's easier to cycle but you have to pedal faster to maintain the same speed. The bigger sprockets are the ones you need for hills. You probably have two or three gears between your pedals. These are known as "chain rings". They work the opposite way to the sprockets: the smaller/smallest rings are the ones you need for hills. Learn which gear adjuster controls the front gears and which the back. 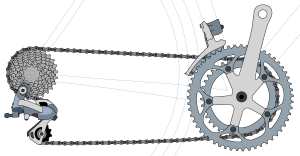 Learn how to lower your gears (move to smaller ring at the front and the larger sprocket at the back). It can be confusing because - for most gear shifters - the action that lowers the gear with your left hand shifter, raises the gear with your right - and vice versa. As you approach a hill, you want to be sure you are shifting in the right direction. To change to a large chain ring, your shifter pulls a cable to drag the chain across. To return to a smaller ring, your shifter releases the tension in the cable and a spring pulls the chain back. You cannot therefore control the tension used to change to a smaller ring. If you are cycling up a hill, the chain will be straining against the chain ring and the spring won't be strong enough to move it. You try to change to a lower gear and nothing happens! As you approach a hill, you should change to a smaller chain ring before you get to it. It's better to be in too low a gear than too high. Start the hill in a low gear. As you go up the hill, don't wait until you are struggling before deciding you need a lower gear - try to always be in a lower gear than you think you need. If you have to change gear on a hill, practice reducing pressure on your pedals as you change. If you coordinate your gear change and pedal pressure, it takes a very short time to make the change and you lose little forward momentum. After a while it comes naturally - it's very useful technique to master. As you are riding, keep an eye open for hills, so you have time to anticipate them and react; when going round a blind bend, bear in mind it could be the start of a hill. 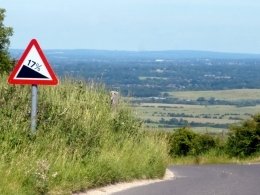 Get to know which road signs tell you a hill is coming. Practice your gear changes so they become second nature and you always change in the right direction. If you drive a car with manual gear change, you'll already be familiar with some of these techniques. When faced with a hill, it's natural to try to take a run at it and get to the top as quick as possible. For some hills that will work but for long or steep ones that's exactly the wrong approach. You'll find either your legs will tire quickly or you will run out of puff. Either way, you'll have to stop part way up. Going up slowly in a low gear takes patience, but it's easier. Take it slow from the start of the hill, if you wait until you feel the effects before slowing down, it will be too late; you're already running out of oomph. If you're riding down into a dip with a hill the other side, use all the speed you've built up on the downhill to give you momentum to help you up the other side. Bear in mind, though, that you might need to switch quickly between a high gear on the downhill to a low gear going back up. To change gear while you are coasting, you have to turn your pedals - that's just how they work. If you don't turn your pedals, the gears won't change and you'll get a nasty crunch when you push down hard. Here's a thought. It can be easier to do a difficult hill that you don't know, than one you do. So treat all hills as if you were approaching them for the first time. You might have had a bad experience last time, but that could be for a number of reasons. We all have off days (or weeks, or months). Maybe you're a bit stronger this time, perhaps you've improved your techniques. Set bad experiences aside, and see what you can manage this time. This technique involves straightening your legs so you're standing on the pedals and then transferring your weight on to the highest pedal forcing it down then switching your weight to the other pedal; then repeat. It allows you to put more power into the pedals, but is a lot more tiring than normal pedalling. The lighter you are, the easier the hills. Have a look at what you are carrying. Do you really need all of it? Individual items might not weigh much, but taken together you could be adding quite a bit of unnecessary baggage. Take care if you have large panniers. They invite you to add more and more stuff that you might need, but never do. 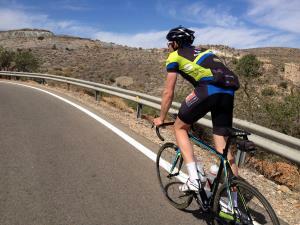 The heaviest single component can be the most difficult to deal with: the one on the saddle. Going out for regular rides with us can help but you won't lose much weight through exercise alone. You need to get in control of what you eat too. In fact, exercise can increase your weight since muscle weighs more than fat. For your muscles to work they need fuel, and oxygen to burn it. Your body needs water to function. If your body wants to breathe or pant, there's a reason. It needs extra oxygen. So give it what it needs. Breathe through your mouth and deeply. Start with a decent breakfast. Drink plenty of water the day before, and before you start the ride. Take something to eat with you in case you need a top up (Nak'd bars, fig rolls, fruit pastilles and wine gums are all cheap alternatives to, arguably, more effective top-ups such as energy gels). Always carry water, and drink regularly during the day. If you're not comfortable drinking while riding, try to get into the habit of taking a drink every time we stop. Don't wait until you're feeling thirsty. If you sweat, you lose more than water. You also lose important elements, notably sodium and potassium. 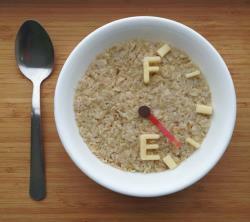 Most meals will replenish sodium and potassium levels but you might find it helpful to take supplements between times. For example, a bag of crisps or a banana at elevenses or tea. Electrolyte supplements: designed to replace sodium and potassium. A cheap alternative is a teaspoon or two of rock salt dissolved in your water bottle with some sugar-free lemon squash to mask the taste. Electrolyte and energy supplements: do both things at once. As you're cycling, you might feel a little light-headed and strange. If you do, let the rest of the group know and stop. You might be about to 'bonk'. Your energy levels are so low, your body simply packs up and you faint. Eat and drink something. Take advice from more experienced riders. Please don't ignore the symptoms if you get them, fainting on a bike can be extremely dangerous. You either run out of puff, or your legs won't work for you. Stop safely. Be aware of traffic around you. Give riders behind you warning you might be stopping so they have time to get round you. Ideally you want to stop where you can get off the road. Let someone know you've stopped. The back marker should be aware of you, but it's worth making sure. The ride will wait for you (and anyone else that's struggling). They will normally wait at the top of the hill, but might be a bit further on if there's no safe place to stop. If the hill is steep, it can be difficult to restart, so pushing might be the only option. Otherwise, you might be surprised how quickly your body recovers when you try option 2. 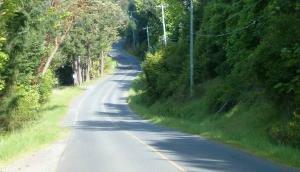 It can be less tiring overall than option 1 - and you will have the satisfaction of completing the hill on your bike. Don't worry what the rest of the group is thinking. Everyone has had to push up hills. They know what it's like. Try not to think of pushing as a failure; instead think of it as preparation for the next hill. Keep your gear changing mechanisms (the derailleurs) dirt and rust free, and lightly oiled. Use proper chain lube to keep your chain in good condition. Cables will stretch over time in which case you'll find it increasingly difficult to engage the gear you want. Your bike will have tension adjusters either as part of the derailleur, the gear shifter, or both. They allow you to adjust cable tension without needing tools. 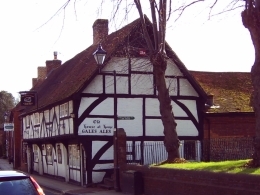 To make larger corrections you'll need a screwdriver or an allen key. We say that chains 'stretch' too. In fact they get longer because of wear in the chain. If your chain starts slipping on your sprockets it has stretched too far - but by then it's too late. You've almost certainly damaged the sprockets and they'll need replacing too. Some of us carry chain gauges for checking chain stretch, and any decent bike shop will be happy to check your chain for you. Try to check it every couple of months and - as it gets close to needing replacement - more frequently. In any case, sprockets and chain rings wear over time and will need to be replaced. There's an argument for replacing your sprockets with every new chain - you can keep using your chain until you detect chain slip, making it last longer. Some of us allow up to three chain changes before changing the sprockets - but you need to keep a close eye on chain stretch, and change the chain as soon as it's failing the gauge. The most disciplined of us use three chains in rotation, switching every few weeks - that maximises the life of the chains and the sprockets, but needs dedication! Replacing chains, sprockets, chain rings and cables needs some specialist tools and expertise, but it's not particularly difficult. There are loads of 'how-to' guides on the internet. If you're lucky, you'll find a video of someone working with the same model of gears as you have. If you don't want to DIY, find a bike shop you can trust. Ask around to see which one others can recommend. If you cycle with flat pedals and shoes, you can press down on the pedals for less than half of each rotation. When a pedal is at six-o-clock, your foot is just a passenger until your other foot rotates the pedal back up to twelve-o-clock. 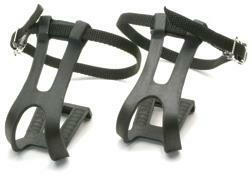 Toe clips attach to the front of your pedal and surround the front part of your foot. They give you some scope to pull a pedal up as well as push it down. They also allow you to put more oomph into the pedal as it moves forwards. When you stop, you have to take your foot out of the toe clip by pulling back. Toe clips come with straps that allow you to tighten the clip around your foot while you cycle, and quick releases to allow you to extricate your foot when you stop. That's more efficient, but it's practical only for race tracks. Clipless pedals - or 'cleats' - require both special pedals and shoes. A cleat on the bottom of the shoe engages with the pedal so the two are stuck together. As well as pushing down on the pedal, cleats allow you to pull up, push forward and pull back. 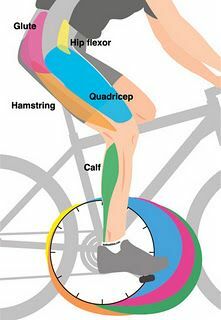 You get to use more of your leg muscles and share the work between them. Cleats also ensure your foot is always in the optimum position on the pedal. You get out of a cleat by twisting your heel sideways, away from the bike. That's not a natural movement and - until you're used to them - stopping can be a problem. It's normal for people to go over sideways - rather comically - a few times at first. Fortunately you are moving very slowly when it happens. It quickly becomes second nature and many argue that clipless pedals are easier and safer than toe clips. Racing or 'three hole' cleats come in colour variants with progressively less float: grey/yellow, red and black. They are more efficient at converting muscle power to forward motion. Most of our riders that use cleats use the SPD style as they're more practical for our type of riding. Note that it's important to fit cleats correctly. Knee joints work in just one plane. They cannot twist like your wrists. If you fit cleats at the wrong angle you can damage your knees. A high degree of float is important when you're starting out with cleats. Use an SPD cleat or a grey/yellow race cleat. You can use an allen key to reduce the pressure needed to unclip a cleat. When starting out, set this to its lowest tension to make it as easy as possible to get out when you need to. In the past, bike manufacturers seem to have designed their bikes for people riding fast on the flat. The lowest gears just aren't low enough for normal people doing our more difficult hills. That seems to be changing. As a result, more bikes are being sold with sensible gears and with options to replace components to give you lower gears. If you want to lower your gears, the simplest way is to replace your cassette at the back with one that has more teeth in its largest sprocket. Your bike and derailleur will have a maximum sprocket size and range of sprockets (smallest to largest). You might, for example, be allowed to go from 25 teeth to 28. It doesn't sound a lot, but it will definitely make a difference. The manufacturer of your gear changers will have a web page that tells you the limits. A bike shop will also be able to advise you. But, unless you are prepared to experiment, you should get professional advice before taking any of those steps. If your bike has hub gears, your options are limited because you can't change the gears inside the hub. We hope the above is some help. Please ask around the next time you are on a ride if you have questions or get in touch via the web site. But remember, three cyclists can mean four opinions!